Tuff Toe, to protect your boots. 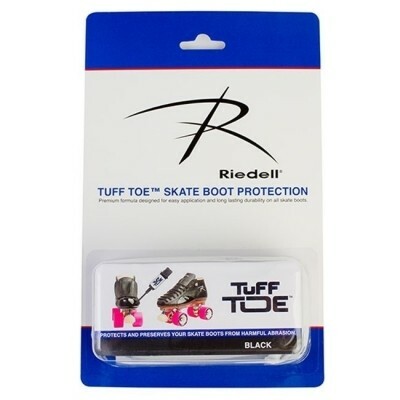 Tuff Toe is a chemical and water resistant polyurethane adhesive that has been specially formulated to provide maximum protection against abrasion for your skating boots. Tested and approved on the smooth hardwood floor of your favorite rink, sport tile, rough concrete, and other skating surfaces. Tuff Toe creates a permanent bond with your boots that is three times more durable than leather.